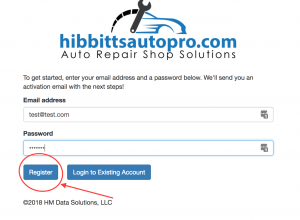 Fill out the account creation form and click the button that says “Register”. Visit the email inbox for the email address used for the account. 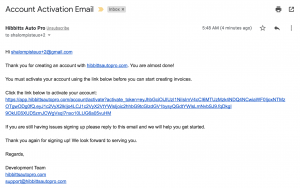 Open the email verification email that was sent to that address and click on the link provided in the email. This verifies the account and grants access to the application. Clicking on the link in the email sends you back to the registration application and directly to the company profile form. Complete the company information form and click the button that says “Save Company Details”. The data used in the company information form will go on the printed invoices created with the application. Filling out this form completely will help make your company invoices look more professional. 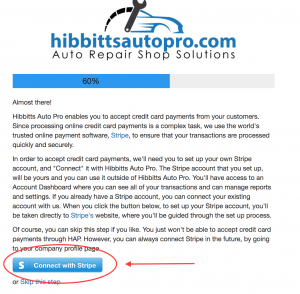 If you wish to use hibbittsautopro.com to accept credit cards for the invoices created using this software then click the “Connect with Stripe” button. 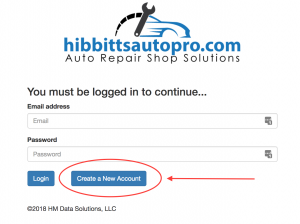 Clicking this button takes you to the Stripe account creation page. Fill out this form completely. 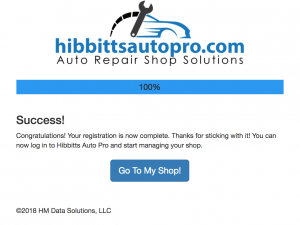 When the form is submitted it will return you to hibbittsautopro.com. If you already have a credit card point of sale system then click the link that says “Skip this step”. 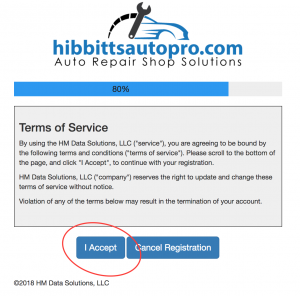 Read the terms of service and click the button that says “I Accept”. 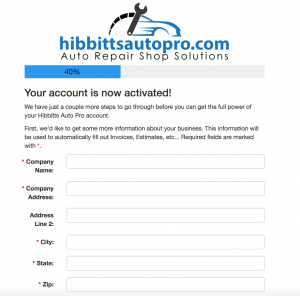 You now have access to the software and can start creating invoices immediately!